Whether you are a graduate or undergraduate student, your program may have provided you with some guidance on the re-use of existing materials and in many circumstances this issue is characterized, by the various departments and schools at Columbia University, as plagiarism. In addition to plagiarism, however, copyright law plays a big part in how you can use and re-use materials in preparation of your scholarly work undertaken to complete your course of study while you are a student at the University. The purpose of this unit of the website is to provide students with guidance for the reproduction and distribution of their work and the work of others in addition to the general copyright information found under the Copyright Basics tab of this site. It focuses on two issues: dissertation preparation and completion, and dissertation and journal article publication. If you, as a student, are engaged in teaching in addition to your own scholarship, you should refer to the information found under the Faculty tab of this site. Many of the issues concerning the use of material in the course of teaching and learning will also apply to you. Fair Use applies to circumstances where you undertake scholarly work in the course of completing your studies. Refer to the Fair Use section of and the Fair Use Checklist and Introduction under the Copyright Basics tab for detailed information about its application. This website does not provide guidance about the use of the University's information technology system and University acceptable use policies. 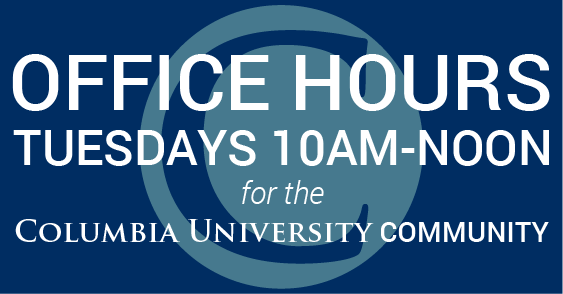 For more information, refer to Columbia University's Information Technology home page and the University's Information Technology Policies.